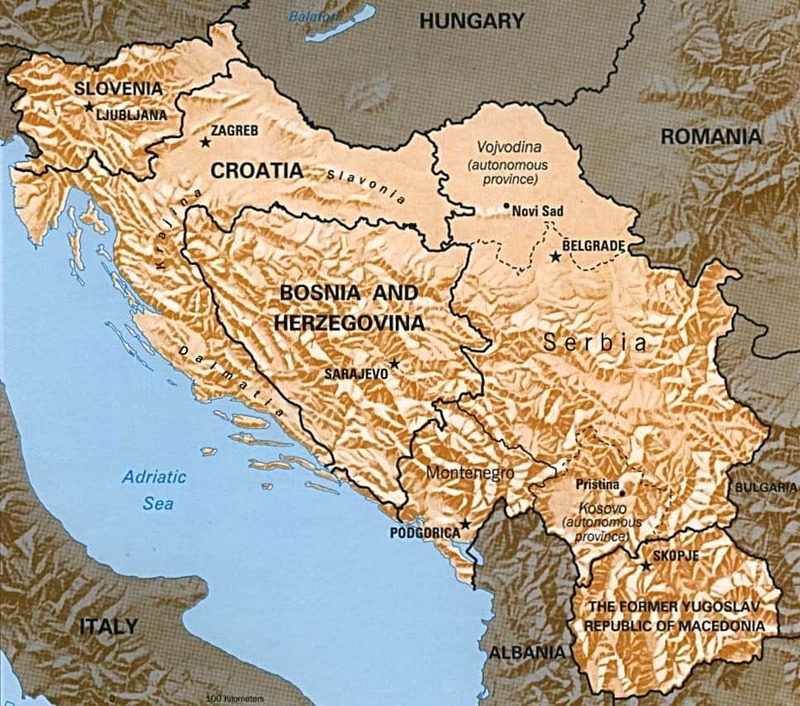 The force is assigned to the Multinational Brigade Sarajevo North ( MNB SN ) Italian command – who is part of the Multinational Division South-East ( MND SE ) under French command. Portuguese Forces were deployed between January 5 and January 29, 1996 with military and civilian aircrafts from Portugal to Split. 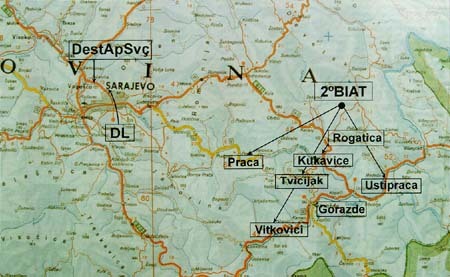 The Transit bases of Mostar and Ploce were used by portuguese personnel before they were deployed to their sector. Rogatica: HQ and Logistic Support Coy. Praca: 21st Airborne Infantry Coy. Vitkovici: ( Gorazde ): 22nd Airborne Infantry Coy. Ustipraca: 23rd Airborne Infantry Coy. The Combat Support Coy has the Mortars platoon at Vitkovici, Recce platoon at Ustipraca and Anti-Tank platoon at Vitkovici and Ustipraca. The 2AbBn has also an Liaison Officer at Gorazde. National Support Element ( NSE / PO ): 120 personnel, under the command of Major José Barbosa, is based at Sarajevo ( Tito Barracks ). Liaison Detachment ( LD / PO ): 10 personnel with the HQ of MNB SN at Sarajevo ( Zetra ). Senior National Representative ( SNR / PO ) is General Mariz Fernandes, National Military Representative of Portugal in SHAPE. (2) the 21st Company based in Kukavice moved to Praca. 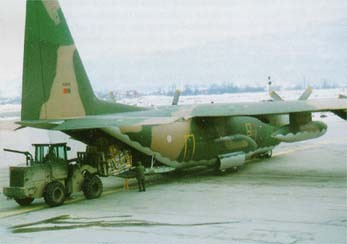 “Hércules C-130 ” of the FAP (Portuguese Air Force) at Sarajevo.